Plastic Mounted Blocks are available with a variety of insert bearings to best suit your application. End covers are also available for all Mounted Blocks. 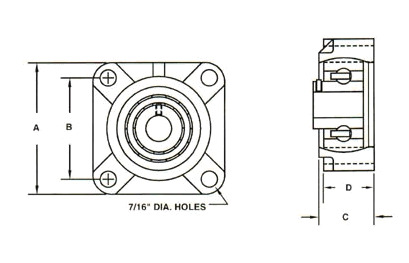 They are designed to snap on and keep contaminants from entering the bearing.